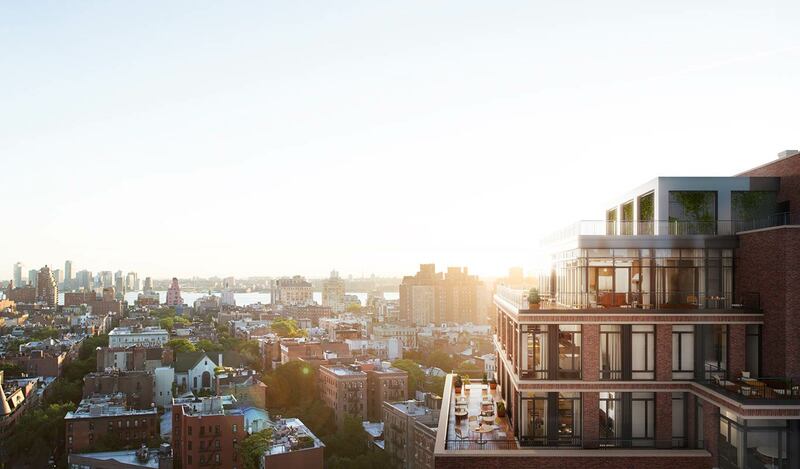 The first of five of the city’s priciest developments has finally started to cash in, with two eight-figure sales recorded at Greenwich Village‘s rising mega-development, The Greenwich Lane. As 6qft reported in April, the ginormous, block-eating condo complex located at 145 West 11th Street is anticipated to make between $1.4 to $1.7 billion dollars at sell out. The first two sales, which appeared in public filings released yesterday, are a five-bedroom 4,537-square-foot unit (#8) which closed at $19.53 million, and similarly another 4,529-square-foot five-bedroom (#4) that closed at $16.32 million. 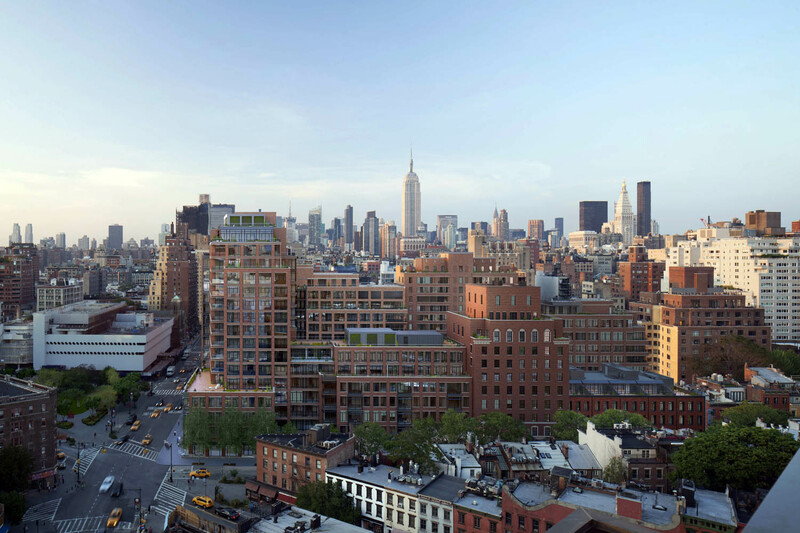 Ground broke on the FXFOWLE-designed project in 2012 and is anticipated to wrap up next year. The 200-unit development replaces the old St. Vincent’s Hospital and is a combination rehab of the old building and five new constructions, including a 17-story tower, one of the tallest constructions in the neighborhood. Greenwich Lane also maintains the neighborhood’s most expensive apartment, a $45 million penthouse that has been in contract since March. 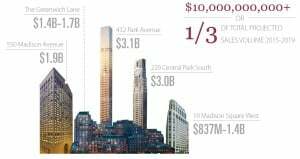 More significant, however, is that these two sales signal that closings at the city’s four other ultra-expensive towers—432 Park Avenue, 220 Central Park South, 550 Madison Avenue, 10 Madison Square West—are just over the horizon. According to CityRealty, the next sales likely to hit public records will be at NYC’s tallest, 432 Park. The closings also point to the fact we’re getting closer to seeing a mega-sale that will best the city’s current title holder for the priciest condo, that $100 million penthouse at One57.